Oh my goodness, I don’t even know where to start with these two. 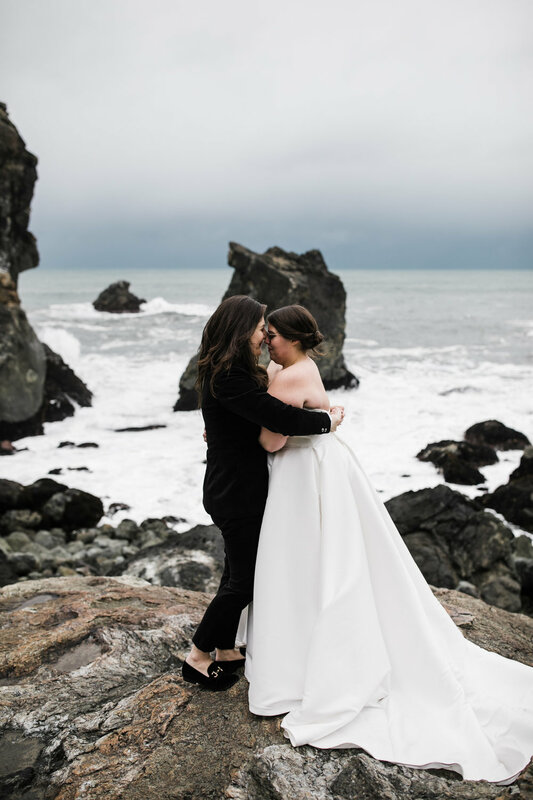 Lauren and Jordan came all the way from Austin to elope at Patrick’s Point State Park in Northern California on none other than Wedding Rock. 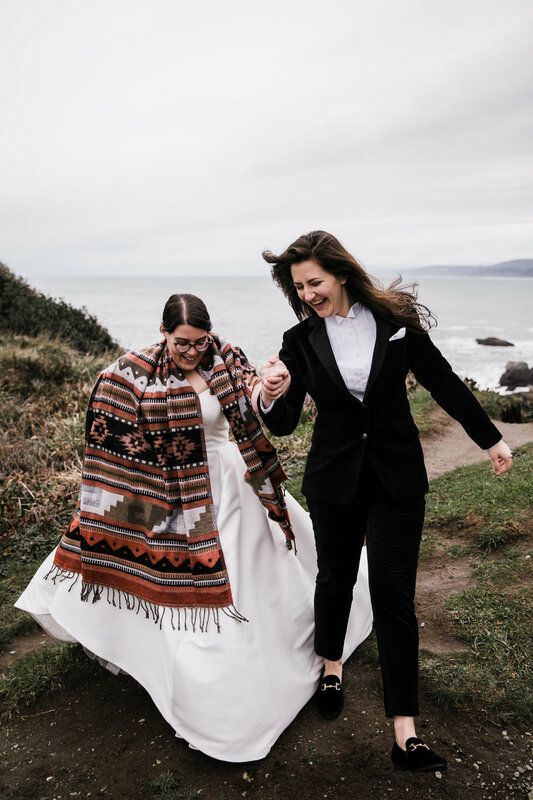 After beginning to plan a bigger wedding back home, these two realized it wasn’t quite for them and decided to scrap the big stressful plans and elope instead. Despite pretty sketchy forecasts all week, the day could not have been more perfect. 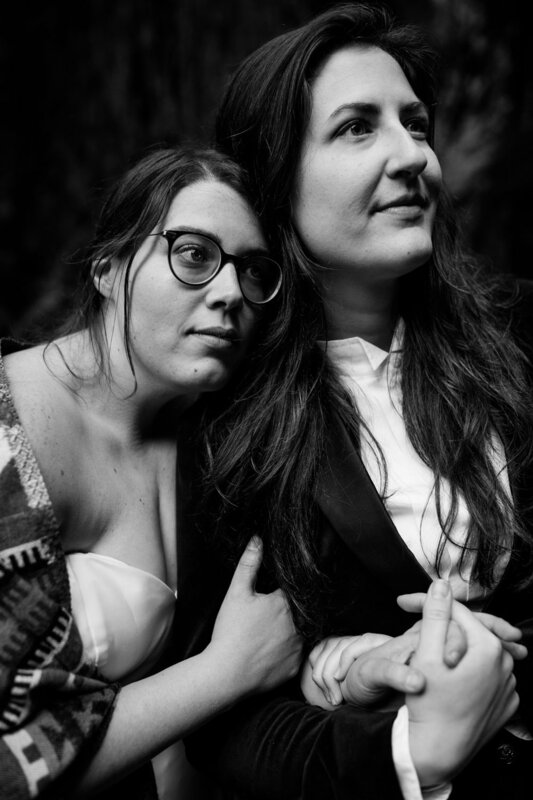 We met up for beers and burgers the night before and by the end of the night we were all so excited to spend the day together for their elopement! The next morning, we met up at the park as they helped each other get ready surrounded by dark green trees as clouds loomed above. 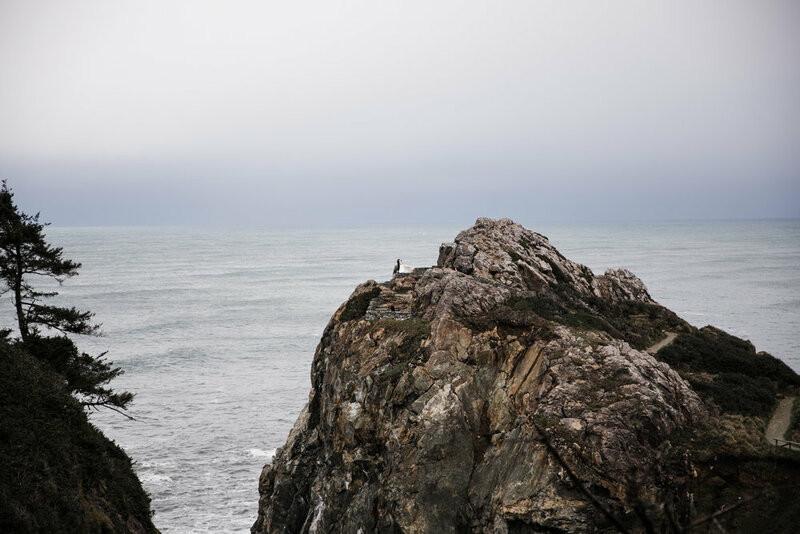 We knew the rain was going to start eventually, so we wasted no time heading out to the rocky coastline for their first look. The sky was a gorgeous dark gray while the water still somehow reflected blue as they stood together looking out over the ocean. I am telling you - it was perfect! 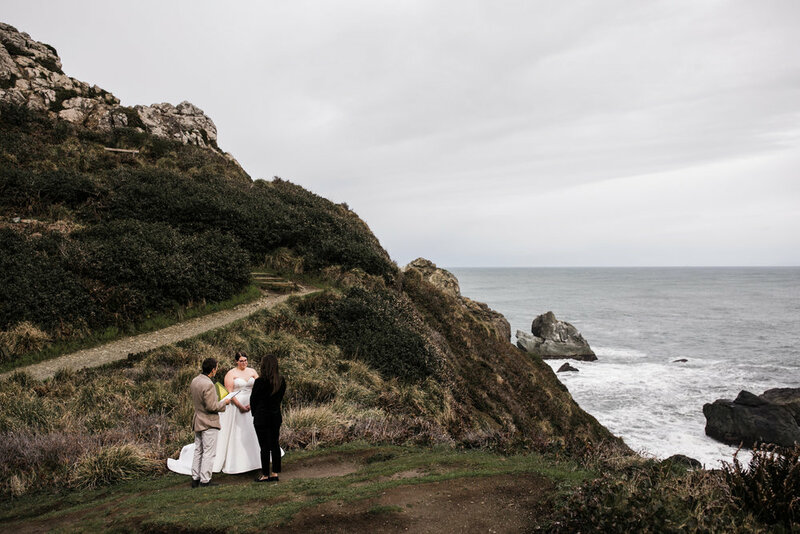 They led us to their spot, a little grassy lookout off the main path, where they’d decided to have their ceremony. 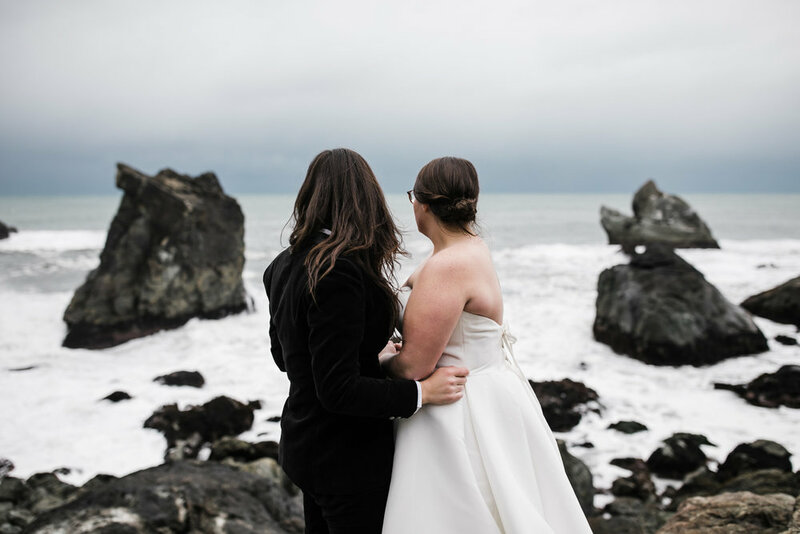 Their amazing officiant, Paul Marsh, led them through the sweetest vows as they promised eachother forever with the rocky shore as their witness and the waves their soundtrack. The rain held off, giving us just enough mood for incredible photos but not ruining any morale. 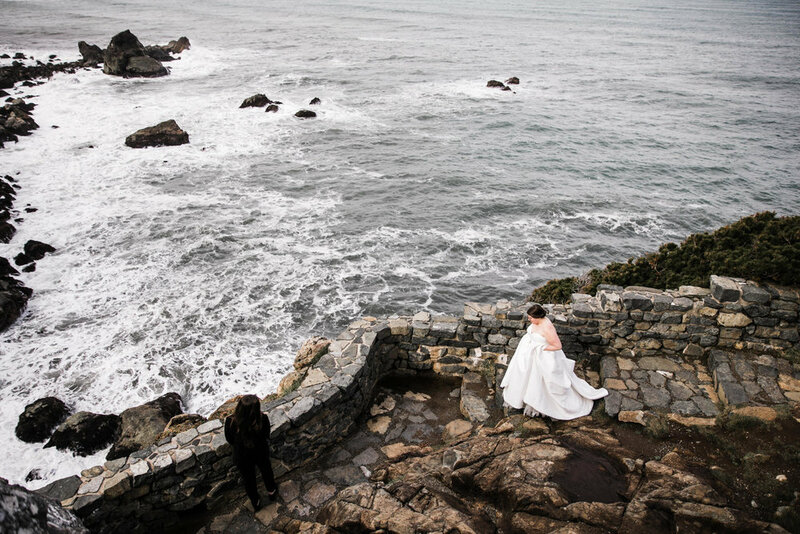 After their ceremony, we wandered around the area together for more adventurous portraits, even climbing up on rocks and down muddy pathways (these brides were up for anything!). 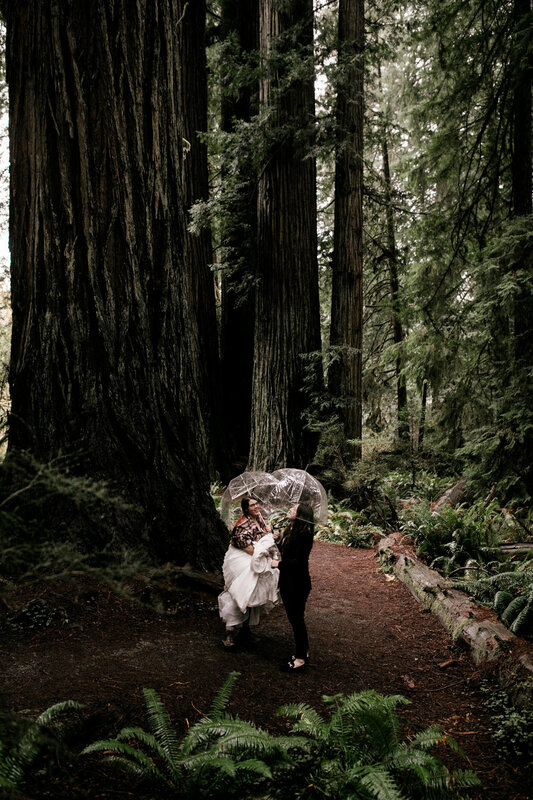 Eventually we all decided it was time for a lunch break, so we headed north for the Redwoods stopping in the tiniest town for none other than burgers and beers while the rain poured down. 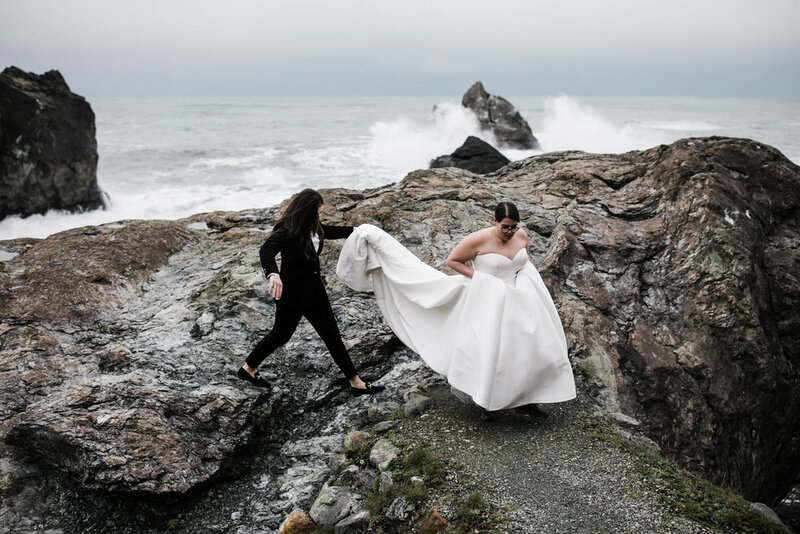 Lauren was quite the sight to see in her gorgeous wedding dress wandering the narrow aisles of the tiny country market, and everyone congratulated them (and asked what the heck they were doing) at the little burger stand. They even decided to make tradition their own and feed each other onion rings instead of the typical cake cutting! 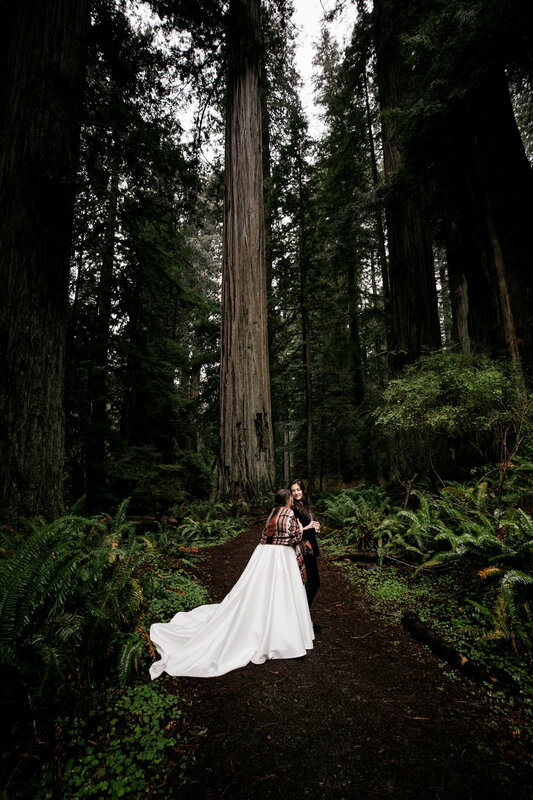 After a hearty lunch we braved the rain for a few final photos among the towering redwoods at Redwood National Park. 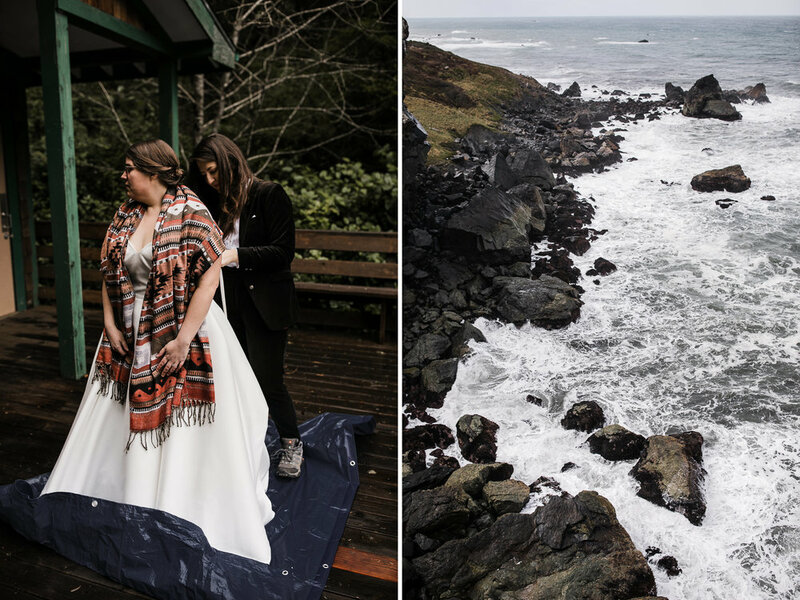 These photos are some of my favorites from their day because it truly looks like a different world! 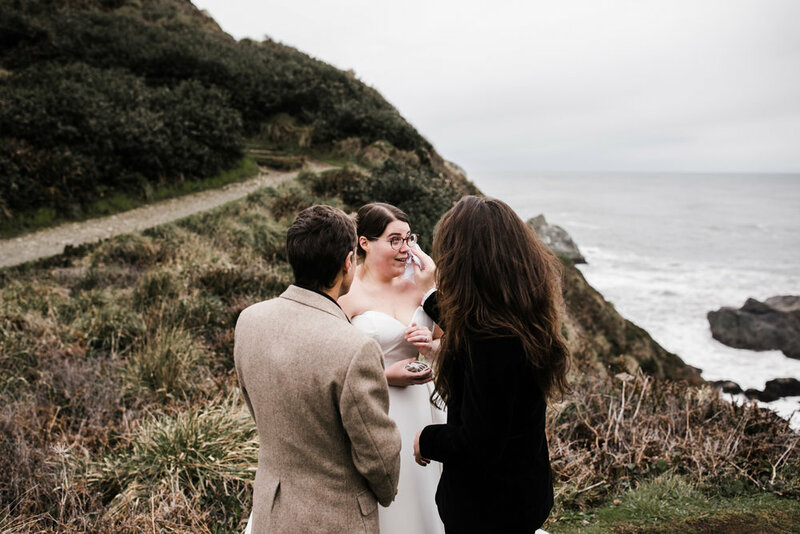 We ended the day with a rainy walk back, and miraculously Lauren’s dress managed to stay mostly clear of mud, although it was probably pretty wet by the time we got back to the cars (sorry Lauren! Totally worth it!! ).